Molly Chvala definitely took a circuital route to arrive at Crowley Webb last August, but we’re sure glad she did. Having studied stage and production management at SUNY Purchase, she’s worked on Broadway, in film, and with global companies across Europe. 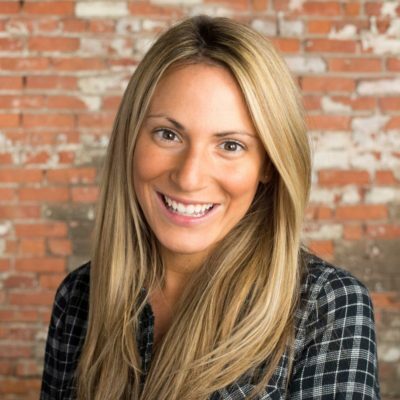 Eventually Molly made it to us as our director of digital strategy and almost immediately made an impact. 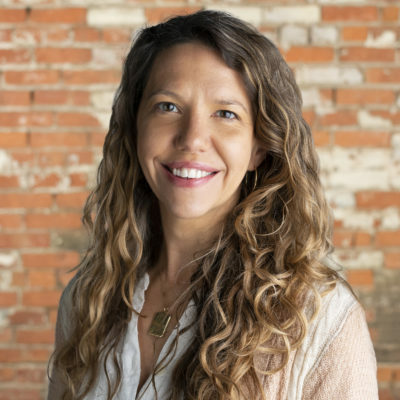 She played a pivotal role in the website launches for Pony Jorgensen, the Community Foundation for Greater Buffalo, and Unifrax, in addition to dozens of other digital projects. Want to know more about what makes her tick? We recently caught up with Molly to hear more about her passions, work experience, and advice for new emerging talent. Let’s get to know Molly! What advice do you have for emerging talent in the field? Be open and empathize. It’s hard to say it applies only to this field, because it doesn’t – but in user experience, design, and development, it’s especially important to be open and empathize with others. Open to criticism of course, but also open to putting yourself in the shoes of your users. To empathize with their journey and point of view. It’s hard to pinpoint one thing – I swear. As much as I like to look at a big-picture problem and understand a business and then come up with creative strategies to address those, I really like finding small details in design that make a user’s journey or action easier or more enjoyable. I can spend hours tweaking some details to make incremental improvements until it feels just right. The only thing more enjoyable is to be able to do it with someone else on the team. So maybe I lied; my favorite part is sitting down with someone on the team and talking through and working through little details and problems until we get it right. What’s the first thing you would do with $1 million? Buy a house along Costa Brava, Spain. Slaughterhouse-Five by Kurt Vonnegut. I had never read it, and then my son asked me about it. It’s one of those books you feel like you should definitely read. What do you bring to the Crowley Webb digital team? Even though I spent most of my professional career at two companies before Crowley Webb, my experience is diverse. I’ve worked on Broadway and in film. I’ve worked with global companies in Europe, and large communications companies and OEMs. I’ve had some great successes and some real failures. With each project, client, and role, I’ve learned something new. I hope that my perspective is a helpful addition to the Crowley Webb digital team, which is already a smart and hardworking group of people. I hope my experience can help make the whole agency more successful. What makes you a great guest at a cocktail party? I usually end up doing the dishes. Welcome to the fam, Molly! We’re thrilled to have you.